Since our founding in 1981, our company has been importing high-quality meat from countries of origin all over the world to the German market and is one of the leading South American wholesalers. A long-standing partnership, experience and expertise with our top contacts in Argentina, Brazil, Chile or Uruguay ties us together. We bring all this to the German trade as an established import company. 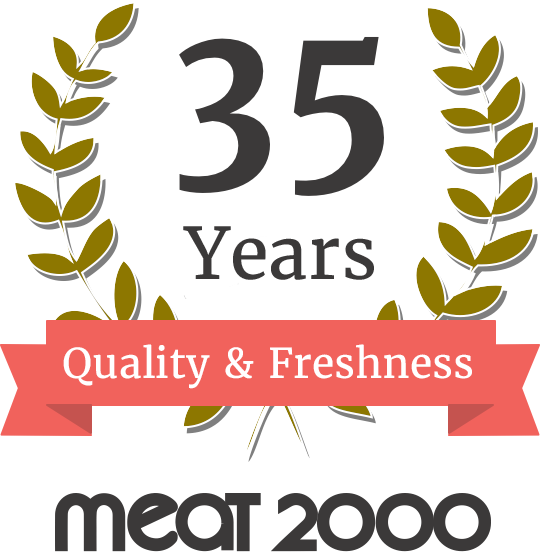 Meat 2000 Fleischhandelsgesellschaft mbH owes its success to the high standards of traceability, natural growth and animal-friendly husbandry, gentle processing and transport processes, fast distribution channels, sophisticated logistics, reliability and exceptional quality. Founded as a meat wholesaler with a South American focus in Hennef and continuously expanded with a look to the future, the company has been based in Cologne since 2011. From there, we distribute and supply the German trade with large quantities of nutritious premium meat. Our experienced buyers are on site for you and make sure that our imported meat comes from select suppliers and producers. Guaranteed origin is the basic prerequisite for quality and safe enjoyment. Our long-standing logistics partners guarantee a continuous refrigeration chain. We ensure the proper and particularly qualitative condition of the goods before and after shipment thanks to strict quality controls. The optimal rearing conditions of the animals, gentle processing, suitable logistics, fast distribution channels as well as our high quality standards from the selection of suppliers to the delivery of the goods to the German trade lead to a consistently excellent quality you can rely on. Ideal climatic conditions in the countries of origin, a near-natural breeding on the pastures of the world and an attitude in the sense of animal welfare are not only a concern for us but also a further guarantee for premium quality. As an established meat wholesaler with international expertise and strong partners, we supply the variety of products the German market can expect. Optimum storage capacities ensure that even large quantities of classic products and specialities are available at short notice. Over 35 years of trade expertise, excellent international contacts, experts in the countries of origin of the best meat varieties and an experienced sales team with valuable knowledge make profitable purchasing possible, so that Meat 2000 can react quickly and flexibly to your requirements and wishes at any time. Individual cuts, portioning, packaging or labelling are part of our daily business. We are by your side with our large team and decades of experience.